On a flight home from Bermuda earlier this year, I caught a couple episodes of a show detailing the most dangerous routes that children take to school around the world. In addition to small children climbing up steep, rickety ladders, crossing rivers on long and unstable foot bridges, and balancing by the dozens on top of old horse carriages, were groups of children that paddled for hours across the Peruvian side of Lake Titicaca to get to school. 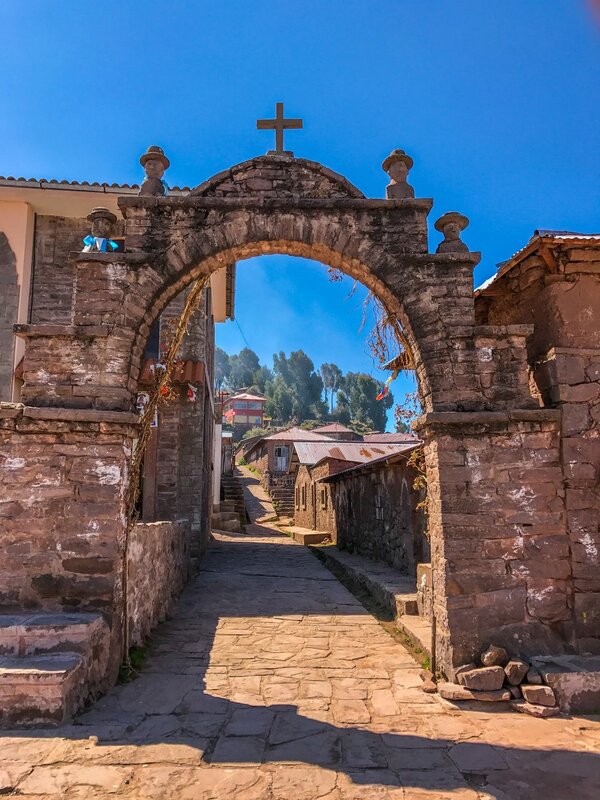 I was so intrigued by their quest that I took a 12-hour overnight bus ride from my jungle lodge in Puerto Maldonado to Puno, Peru, near the Bolivian border. I arrived in Puno around 7am, took a tuk tuk taxi (small auto rickshaw) to drop my backpack at my hotel and made it to the main port on Lake Titicaca to catch an all-day ferry tour. Our first stop was Taquile, the 3rd biggest island in the lake with a population of roughly 2,000 people. Residents speak their native Quechua in addition to Spanish, running water and electricity are scarce, and the only transportation is by foot. 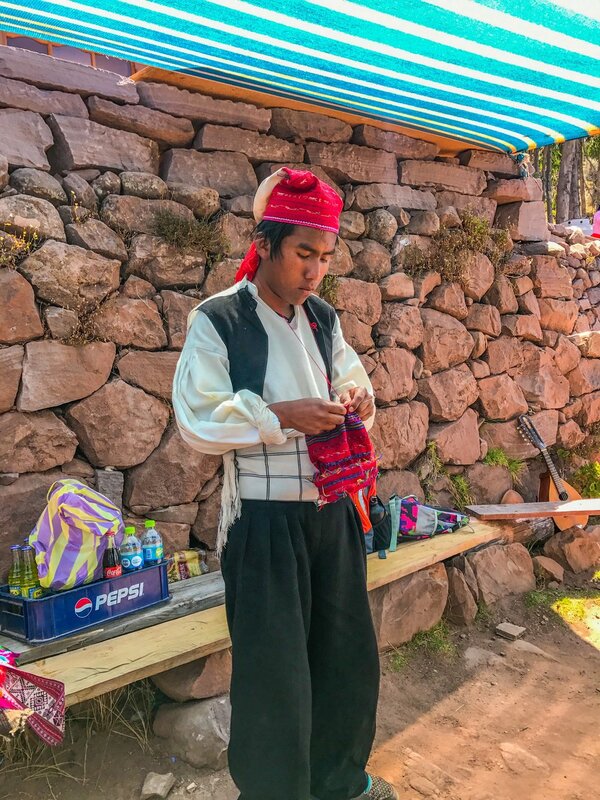 Most interesting about Taquile is that it is the island's men who do the knitting, keeping the island's traditions alive through weaving and yarn spinning. A man who doesn't know how to knit will never find a wife on the island and the style of knitwear that men don indicates whether they are married or single. Single men wear red and white caps with a pom pom at the top. If a man is looking for a girlfriend, the pom pom is moved to the side of his head. When he gets married, he then switches to an all red cap. 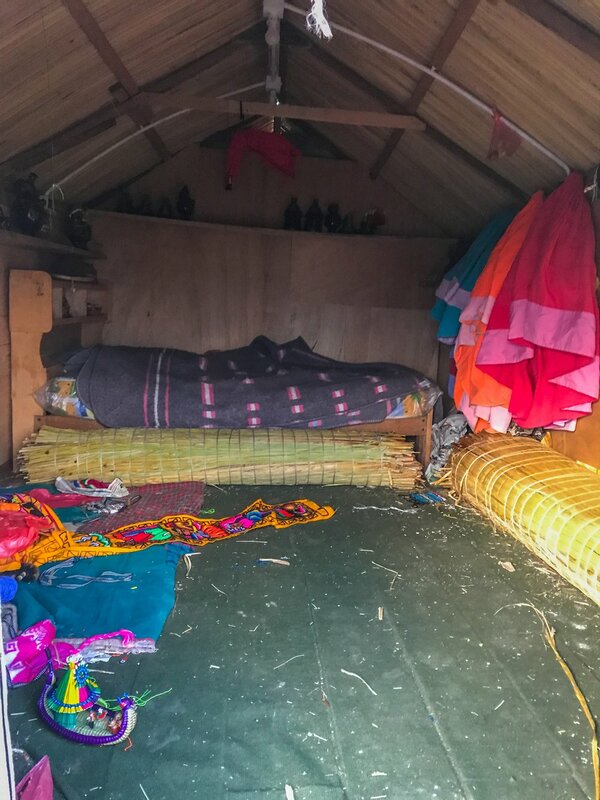 Young Taquile couples also have the tradition of living together for four years as a sort of trial marriage before deciding whether or not to get married. After this point, divorce is not an option. Various companies expressed interest in building modern hotels, restaurants, and tourist cable cars around Taquile but Unesco advised families to reject the proposal. The proposal was rejected and families continue to maintain their charming traditions. These traditions also exclude a police presence on the island. To maintain order, all residents simply must abide by Inca rules: don't lie, don't steal, and don't be lazy. The selling or trading of property is prohibited and the only way to live there is to marry a local person. Interested? Look out for men wearing red and white knit caps with their pom pom to the side! After leaving Taquile, I caught another ferry to my main destination, the Uros islands. The Uros are a group of people occupying roughly 90 floating reed islands in Lake Titicaca. In addition to the islands themselves being made of reeds, the Uros construct their homes, beds, and boats of reeds. It is in these small reed boats that many children row themselves to school in the morning. Some children, as young as 4 or 5, row up to two-hours each way, sometimes stopping to set traps for birds that they will retrieve for dinner on their way home in the afternoon. 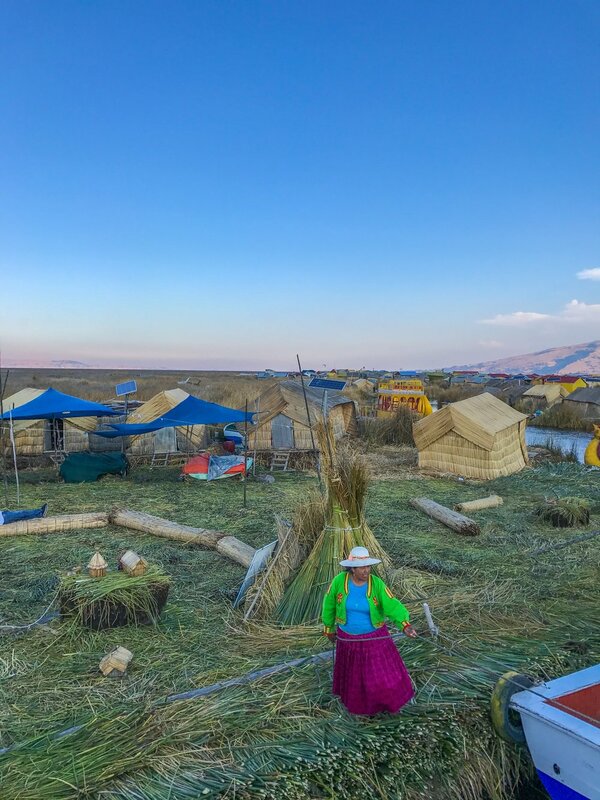 In addition to birds and fish caught in the lake and potatoes and rice purchased in the main town of Puno, the Uros even cook dishes that include reeds! Several people told me they are quite tasty, though I didn't have an opportunity to sample them myself. 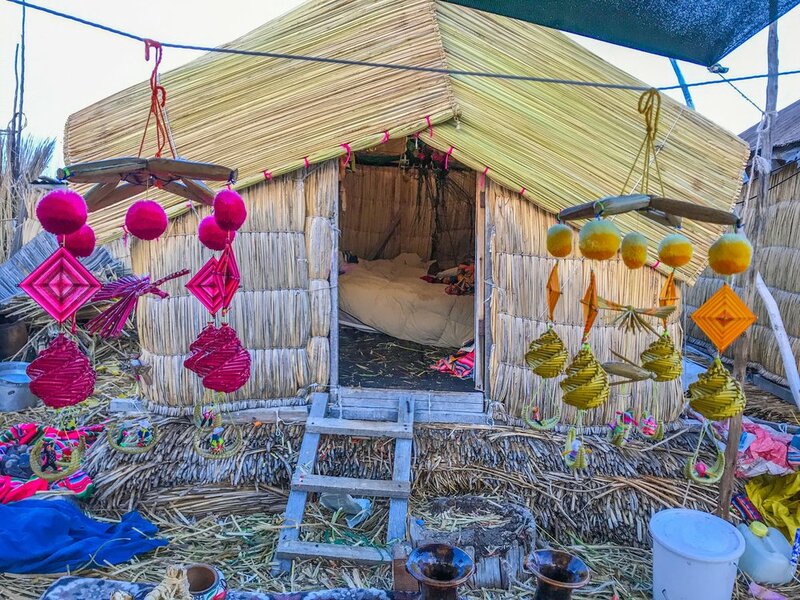 While some Uros prefer distancing themselves from tourism, many welcome tourists into their homes, giving tours of their island, demonstrating how they construct the islands, selling souvenirs, and offering boat rides. After chatting with a family inside their small home and purchasing colorful mini reed boats to hang on my Christmas tree, I enjoyed a ride on what the island chief called "the Mercedes Benz of reed boats". During the short ride, I noticed a small motor-powered fishing boat pushing the reed boat (video below), which took us to another small reed island where I enjoyed hot chocolate and had my passport stamped with an official Uros stamp for 1 sol (about 30 cents). The Mercedes Benz boat is powered by a small motor boat!